Canadians for Justice and Peace in the Middle East (CJPME) welcomes the results of a national survey co-sponsored by Independent Jewish Voices Canada (IJV) and United Jewish People’s Order (UJPO) on Jewish Canadians opinion toward Israel-Palestine. The survey, conducted by EKOS Research from June to September 2018, reveals that contrary to public opinion, Jewish Canadians have a broad range of opinions on Israel-Palestine. It also reveals that a significant number of Jewish Canadians are critical of the Israeli government and its human rights abuses against Palestinians. CJPME points out that while the Jewish community is often portrayed as staunchly pro-Israel, Jewish opinion on Israel is much more wide-ranging, as more than a third (37%) of Jewish Canadians hold a negative opinion of the Israeli government. While our Canadian politicians continue to argue that criticism of Israel is anti-Semitic, the majority of Jewish-Canadians themselves (58%) do not believe criticism of Israel is anti-Semitic. Moreover, nearly a third of Jewish Canadians (30%) believe that the Palestinian call for a boycott of Israel is reasonable, condemning the Canadian government’s 2016 motion to denounce human rights activists who endorse a boycott of Israel. In fact, nearly half of Jewish Canadian participants (48%) recognized that accusations of antisemitism are often leveraged to silence legitimate criticism of Israeli government policies. CJPME notes that a 2017 survey sponsored by CJPME and IJV revealed that Canadian government policy on Israel is not representative of most Canadians’ views. As the IJV-UJPO survey author Diana Ralph argues, the latest survey results support these findings:. CJPME calls on the Canadian government to hold Israel to account for its human rights abuses, in reflecting Canadians’ desire for a just and peaceful resolution of the Israel-Palestine conflict. 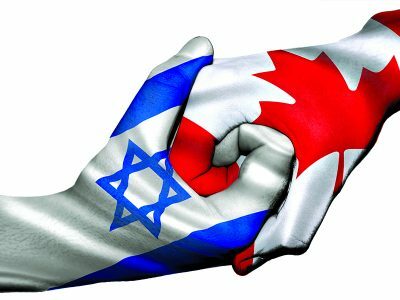 CJPME points out that the joint IJV-UJPO survey is the first survey in Canadian history to specifically survey Jewish Canadians on their opinions toward Israel. A full report and all survey results can be found here.